Behind the 2018 Lincoln Navigator’s gleaming new whale shark maw is a twin-turbo 450 horsepower V6 and a 10-speed automatic transmission. You know what else has those specs? 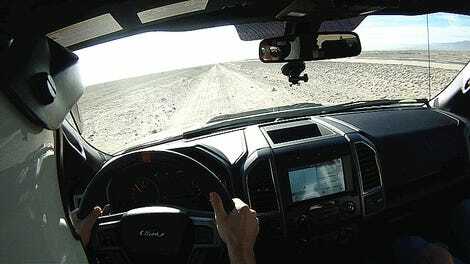 The Ford freaking Raptor off-road warrior. But that’s not the coolest part, get a load of the seats in this thing. Forget the sweet second-row center console, is that padding-on-padding I see up front? I’m sure most of you are old enough to remember when the first Navigator stepped on the scene, just about two decades ago. The idea of a luxury SUV was just blossoming from “concept” into “cash cow,” and while the Germans were busy making athletic little bubble-buggies like the Mercedes ML320 and BMW X5, here in America we were slapping more leather on beefy frames and shipping them out as status symbols. But the Navigator was quickly eclipsed in coolness by the Cadillac Escalade, which if you ask me, was more of a success simply because its name was (is) a lot cooler sounding. The Navigator soldiered on, was even redesigned twice, but this feels different. Or maybe I should say, it feels familiar. 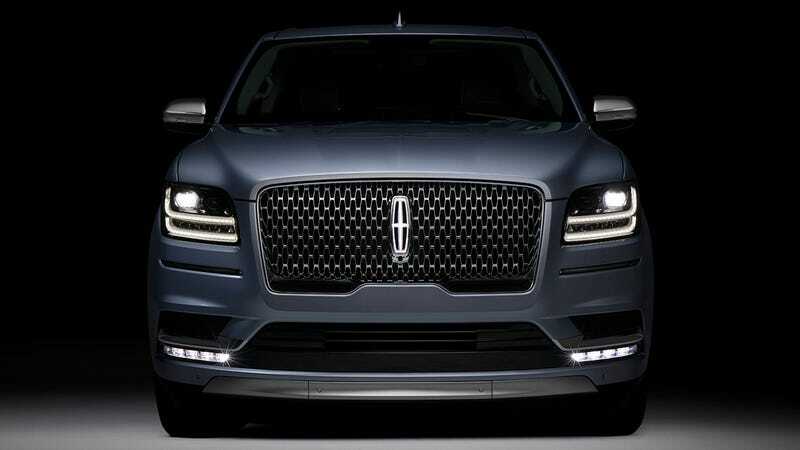 This grille-gnashing monster before us looks like it’s hungry to regain the glory of the original Navigator and earnestly take on the Escalade for dominance as New York and L.A.’s default expensive car service vehicle. The official press release opens with “WiFi and wireless charging as standard” and refers to future owners as “clients,” so you know we’re dealing with some pinky-out fanciness. It also says the 2018 Navigator is about 200 pounds lighter than its predecessor thanks to an aluminum body, has trick speed-adaptive headlights that spread at low speed and focus when you’re going fast, and some kind of shelving system in the cargo area that sounds... tidy. What the release doesn’t say is whether or not this SUV’s 450 horsepower twin-turbo V6 is indeed the same hardware as what’s in the Raptor, which fits that description and claimed output. There’s got to be something good going on under the hood, because a standard Expedition is only rated to 365 horsepower and the 3.5 EcoBoost engine in a regular F-150 is just a hair higher at 375. I’ve reached out to Ford to ask for specifics, and we’ll publish updates as we get them. While Lincoln is describing this vehicle as “all-new,” the full extent of what’s been changed under the bodywork versus the 2017 vehicle or the current Ford Expedition with which it shares a platform has yet to be described. Meanwhile, I have to say I’m impressed with the way this rig looks. There’s a real road presence there, and a lot of bling while keeping clean lines. Bring on the boost and super-comfortable seats.